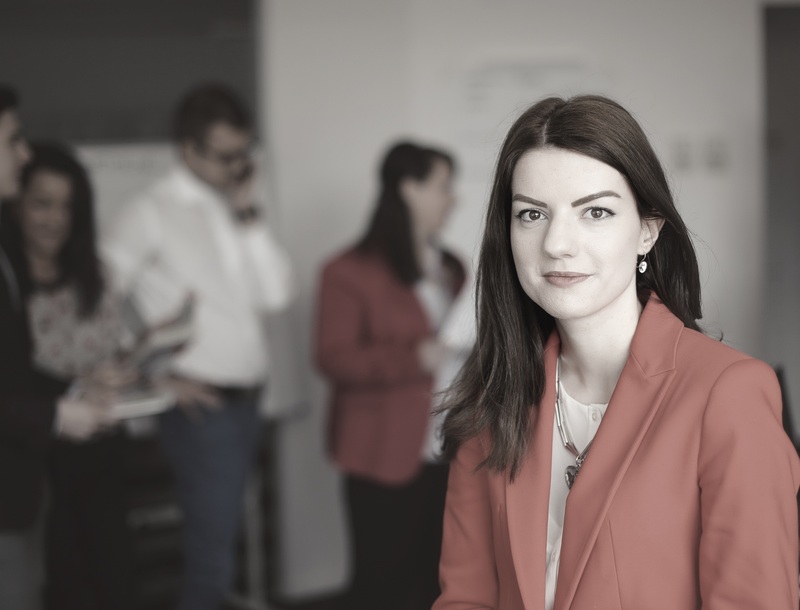 ONV LAW is delighted to announce the promotion of Lorena Ciobanu to Senior Associate in the Business Law department, starting November 1st. Lorena joined ONV LAW five years ago, as a summer trainee, before qualifying as a lawyer and joining us as an associate. She focuses equally on advisory and dispute resolution work, with an emphasis on acquisition and restructuring operations, corporate matters that arise in business development and commercial litigation. She regularly assists clients with individual and collective labour law related matters and also advises private and public companies on a day-to-day basis for business tax matters. She also has extensive experience dealing with issues related to the tax legal framework concerning joint ventures and matters concerning the fiscal implications of mergers. What you might not know about Lorena is that she enjoys travelling in her free time, and she reads or watches movies when she needs to unwind.